The area around Morro Bay has been home to humans for at least 8,500 years. The ancestors of the Chumash and Salinan people who live here now created complex village societies based on fishing and gathering, and invented tools and art to support their lives. The first Europeans to meet the Native American people followed in the wake of Juan Cabrillo whose galleon passed Estero Bay in 1542. The first expansion of Europeans into the area came from Mexico in the south, contrary to the traditional view of American history as a continuous westward expansion from the eastern seaboard. Yankees began to arrive here in small numbers on the trade ships that plied the coast in the early 1800's, but did not come in large numbers until the Gold Rush of the 1840's drew thousands west. Franklin Riley, celebrated as the founder of modern Morro Bay, was one of them. 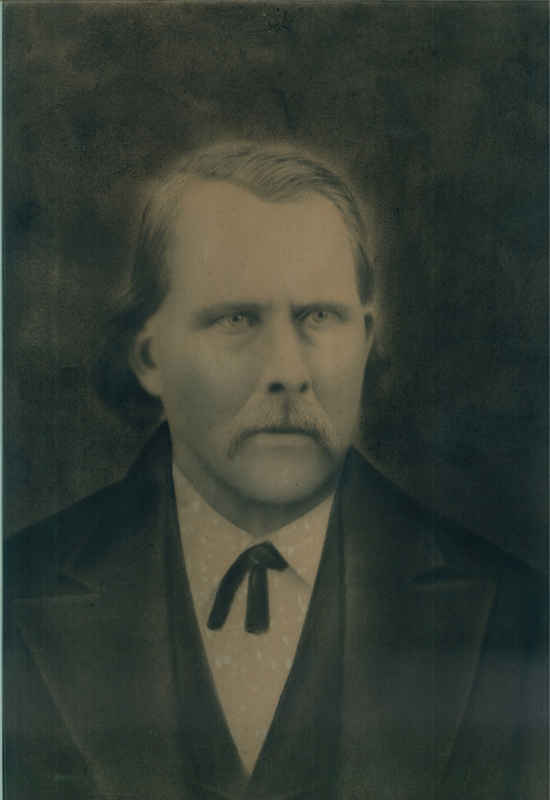 Franklin Riley arrived in 1864 and found a piece of land next to the estuary that was not part of one of the large Ranchos. He homesteaded the land, and in 1872 laid out the street grid that remains in Old Town. Riley is considered the founder of modern Morro Bay. 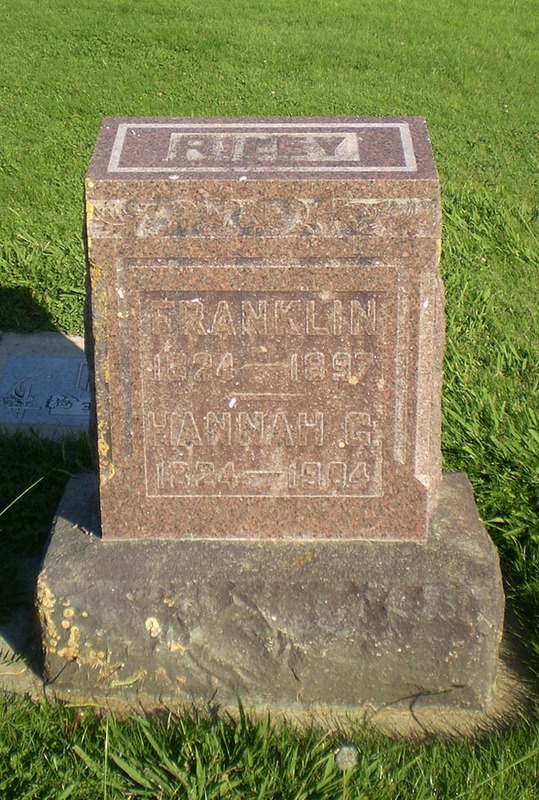 Riley died in 1897 and is buried in the Cayucos Cemetary on the south end of town, adjacent to Highway 1. 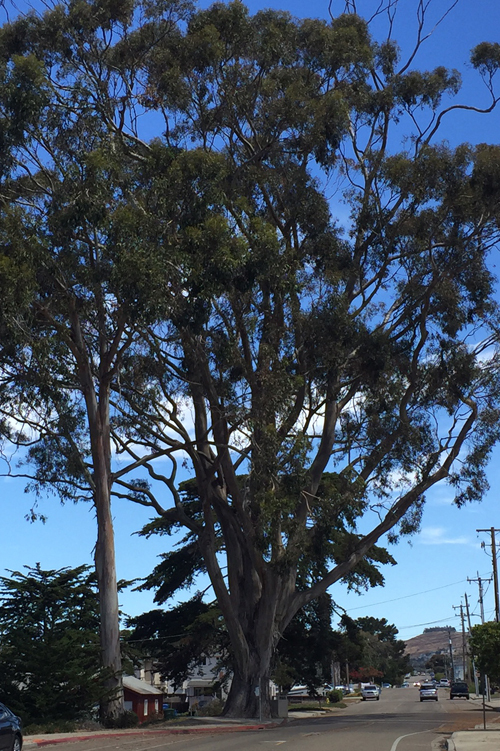 One of the first things Riley did was plant blue gum eucalyptus trees to help hold the soil. The sandy soil along the bluff was constantly blown away by the persistent NW wind. The tree in the photo is a giant that may have been planted by Riley. It is 26 feet in circumference.